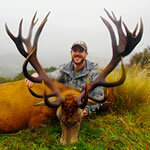 My hunt at the Hossack was a 5 star experience all the way! From the moment I stepped foot onto the property I was warmly greeted and shown to my comfortable accommodations. 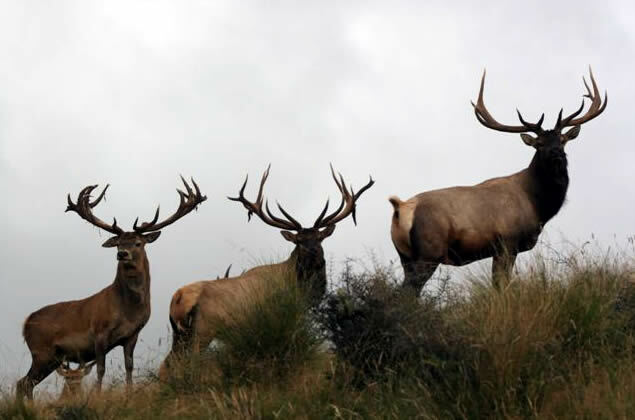 Talk about a beautiful area to hunt! 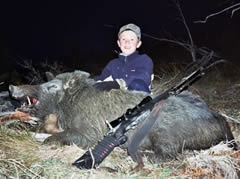 We set out to size in the rifle shortly after arriving and went out for an evening hunt on the first night. 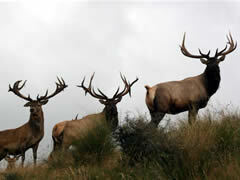 We immediately got into the action and had as many as 4 stags roaring back at us. We never managed to get any of them to reveal themselves so we called it a night after it got too dark to see. Where I come from that is a heck of a first night! The second morning we set out to a new territory and began a steady climb to an ideal location to glass from on the mountain. We came across 2 nice Fallow Deer while taking a long look at a beautiful stag on the adjacent hill. He was a bit out of range so we pressed on up the hill and into a new canyon. We heard 2 more stags roaring back and forth that were closer in range so we set off to get into a better position. 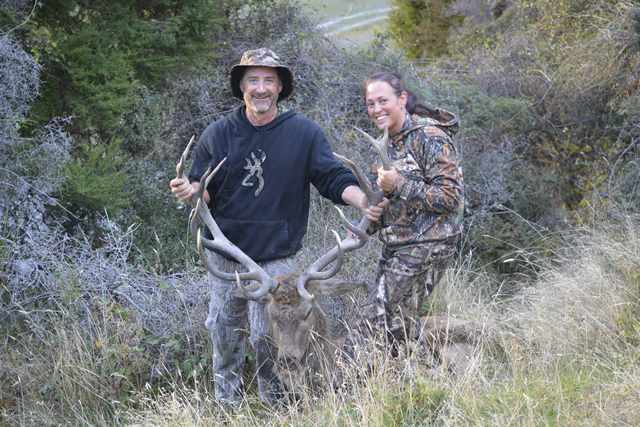 We targeted the one that sounded the most mature and began our stalk to get closer. 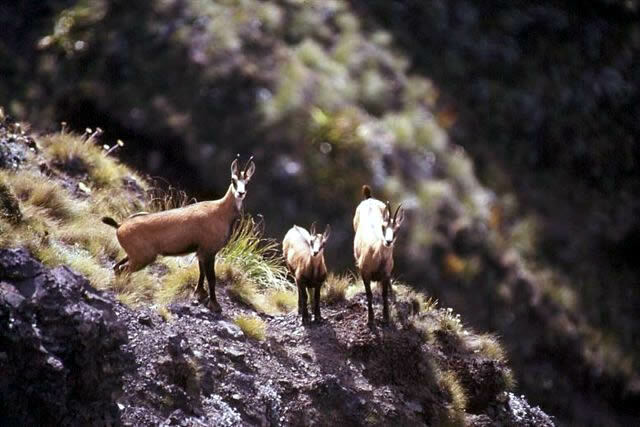 We thought he was across the canyon however he popped up right below us with a few hinds. He came out along side the hill perfectly and gave me the opportunity that I needed. 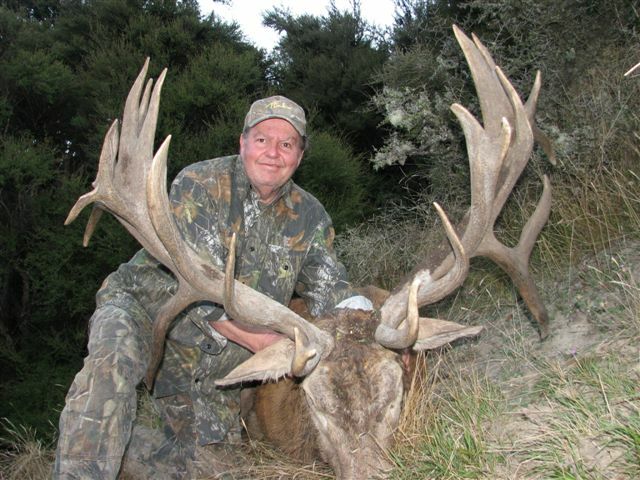 Down he went and a massive 16 pointer at that! 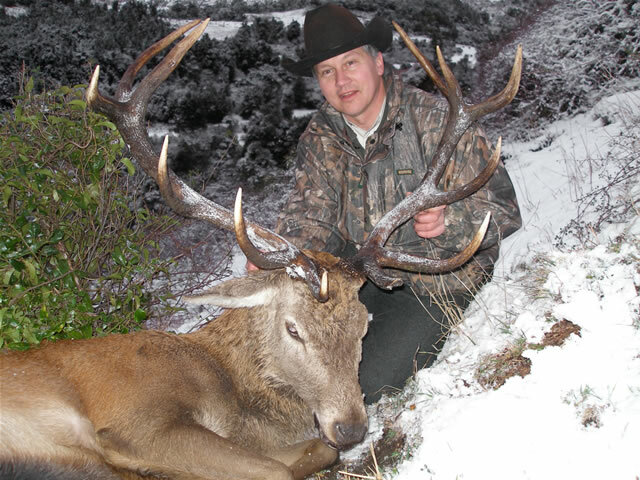 John Angland put me right on him and revealed to me what a true guide is all about. We had the most picturesque background that I could ever ask for and I could not be happier with my time here at the Hossack. I highly recommend them to anyone who is a serious hunter, looking for a great accommodation, stunning territory and a professional outfit that will put you right on em!!! 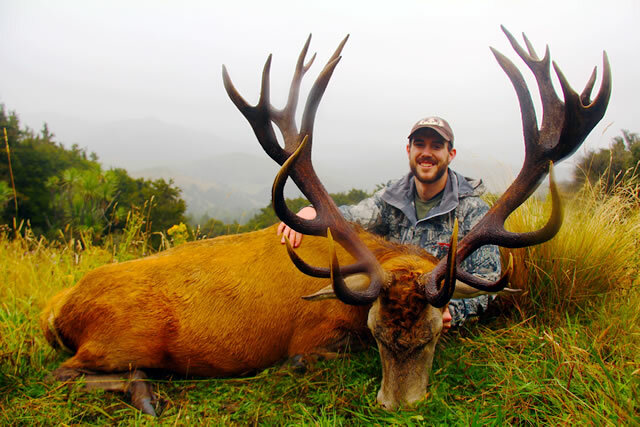 "My wife, and I were touring New Zealand on vacation. 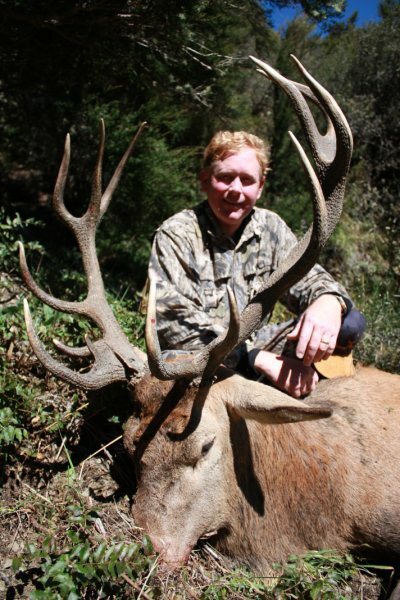 We spent the last days of our vacation at the Hossack Station hunting a red stag. I was going for a big trophy. My guides were William MacDonald and John Angland. 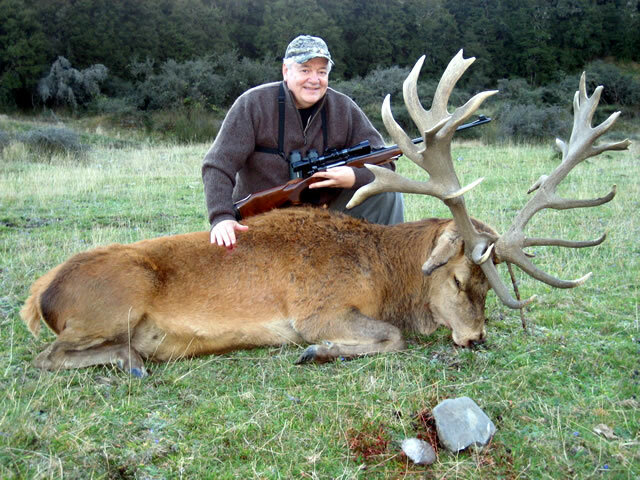 The hunting is world class. The scenery is hilly with small forests and gave me many challenges in terms of wind directions and test of my fittness condition. During the days I was presented for several outstanding trophys and it was difficult to decide which one to go for. Finally on the last day I harvested a very good trophy. Accommodations are perfect, the meals are outstanding and cooked by Edith the south african cook. Hospitality and comradery are very good. Edith did a fantastic job in entertaiing my wife while I was hunting. 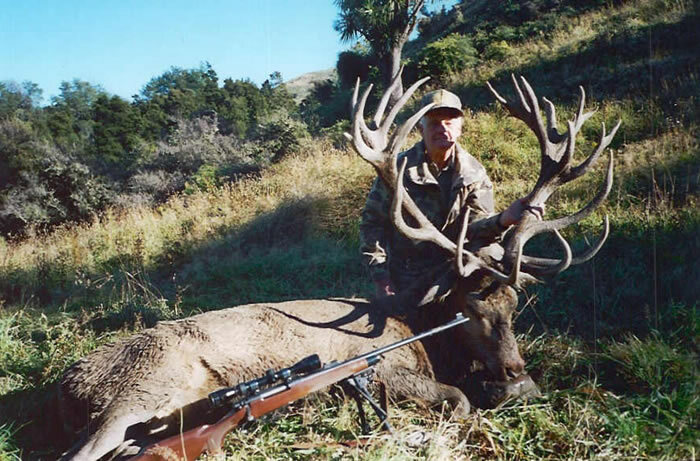 It was a dream come true to visit New Zealand, I hope one day return the the Hossack! Thank You John, William and Edith for a very good experience." 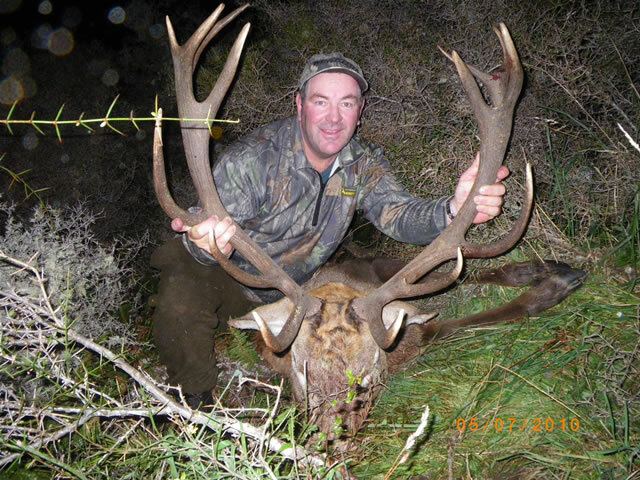 "In October this year (2015) I spent 4 days on a management hunt on the Hossack with John Angland and Pete Clayton. 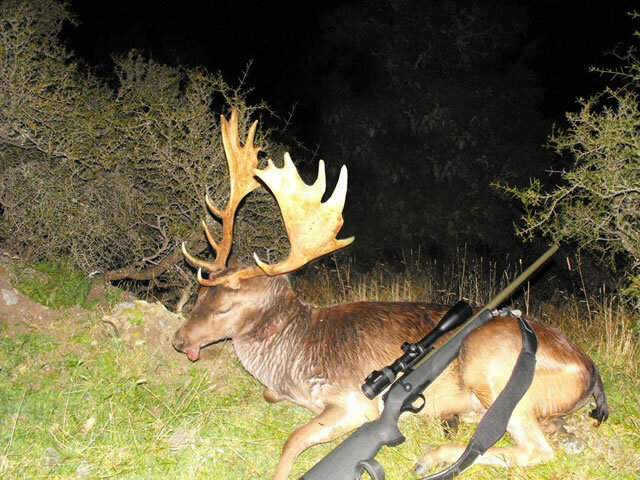 Being an ex-pat Kiwi I wanted to re-visit the Hossack having lived in the area and been on the Station 30 years ago and get some venison for my family in Christchurch to enjoy. Over the 4 days I had great time hunting and taking a management red stag, and hind, a fallow doe, a number of hares and a wild pig. 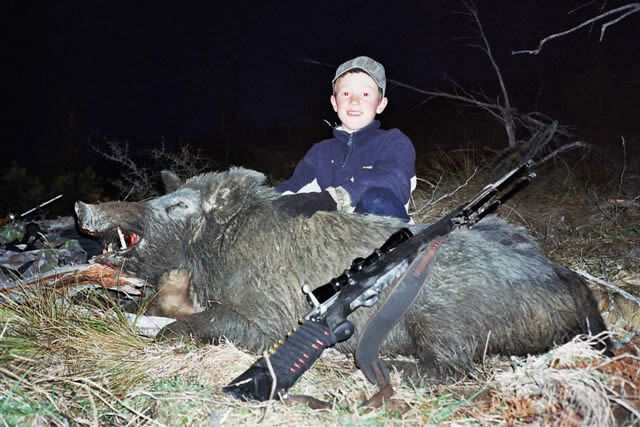 It was more like going out and having a great time with a couple of mates than a guided hunt, with the advantage of having all the local knowledge to see, photograph, hunt and enjoy the game animals and that wonderful area with them. 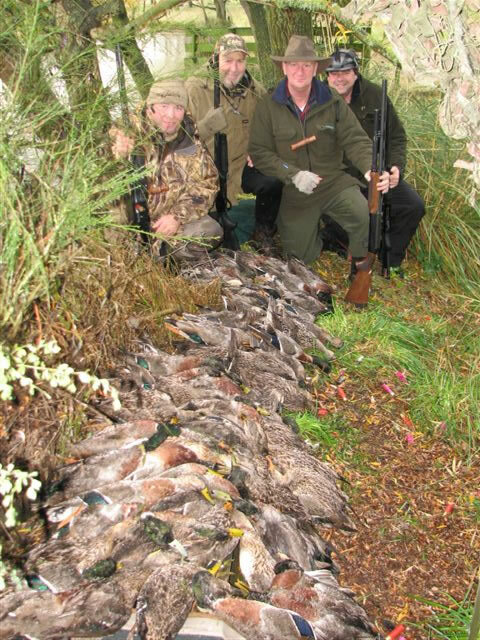 The hunting was great, the food at night was superb, but the company of John and Pete was the highlight of the trip. I look forward to doing it again, thank you John and Pete. From the moment I got off the phone with Jonh Angland I had a feeling this was going to be an amazing time in New Zealand. 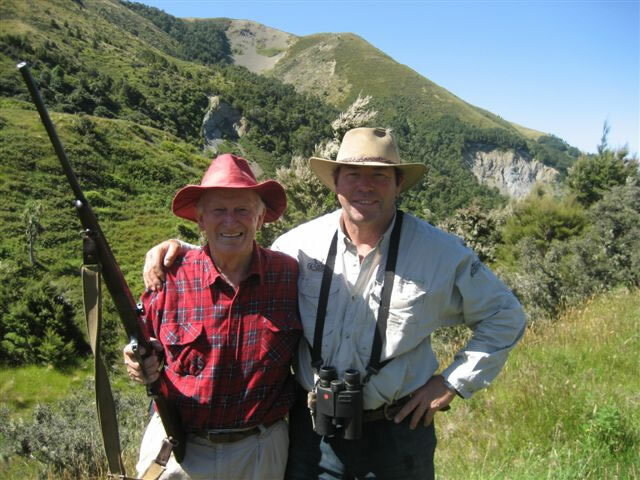 The second we landed John and the boys had everything sorted and the transition from Christchurch to the Hossack Station was seamless and we were boots on in the field glassing in no time at all. 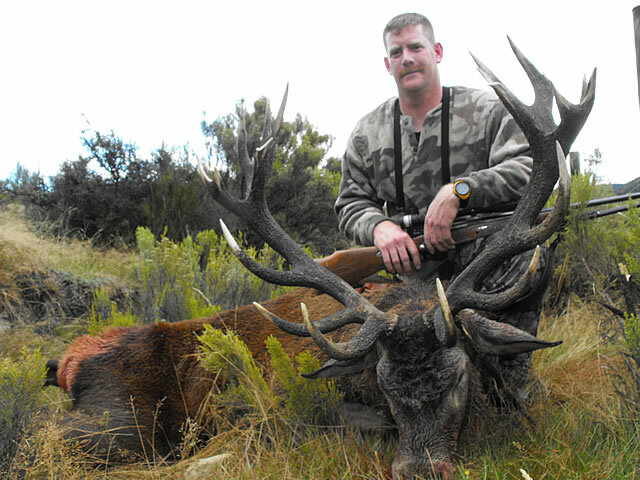 We booked our hunt for the famous Red Stag roar at the end of March for 5 days. 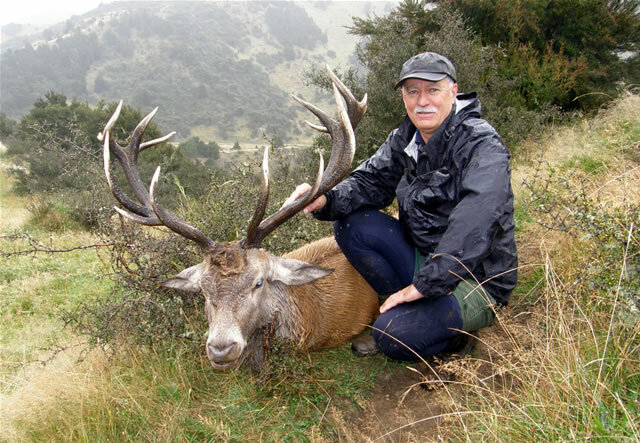 The abundance of quality free range animals amazed me and I managed to dispatch my dream Red Stag only after doing some seriously hard climbing. The rest of my party hunted in the game park and the size of the animals in there are nothing short of astonishing! 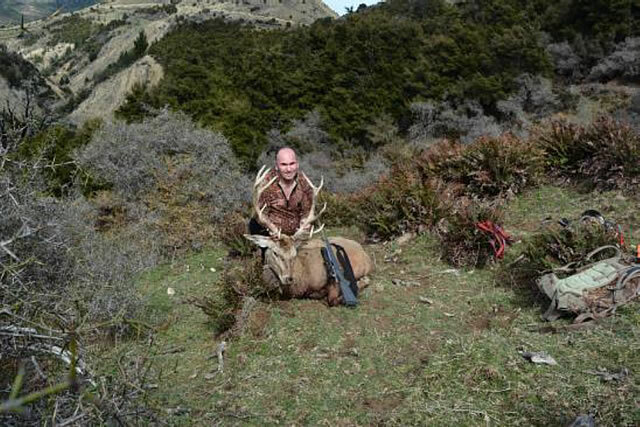 This hunt suited these guys as they prefer a less strenuous style of hunting. 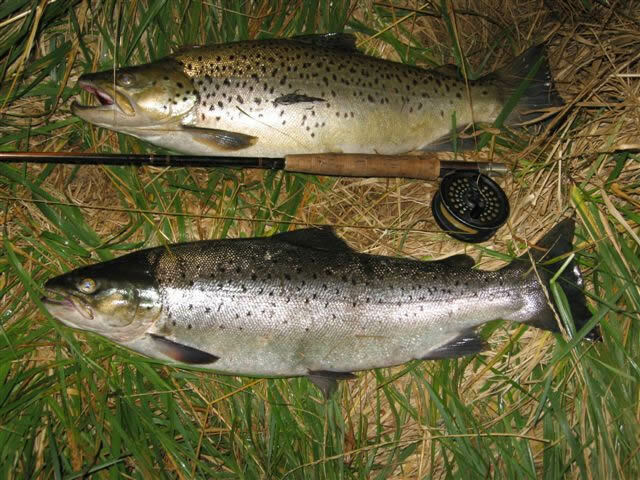 Once our main hunt was over we continued to the north of the property slowly making our way there on varmint patrol, knocking over Hares, Possums and some good size Boars until we reached the breath taking fishing grounds on the Clarence River where the fishing kicked offer Brown Trout. The team who looked after us at the Hossack felt like family by the end of the trip! The years of hunting experience all over the world between Willy, Darren and John was seriously enjoyed around the fire with great food, great wine and very cold beer. The communal dinning area and outdoor fire was the centre stage for great store and many laughs. The sleeping quarters were perfect after a hard day in the mountains, clean and warm! 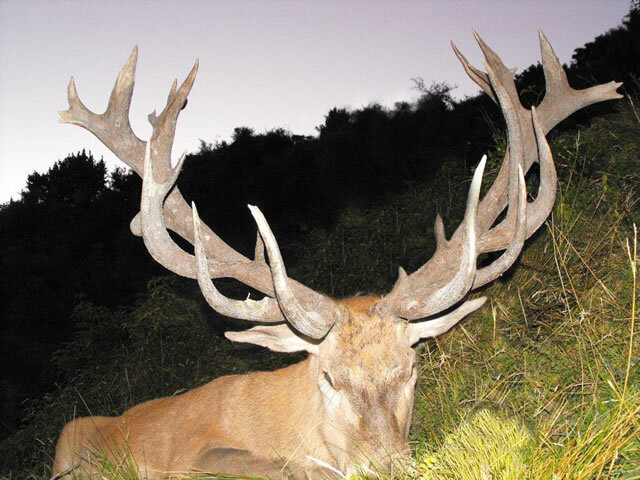 Its never hard getting out of bed at 5am with stags roaring outside your window! 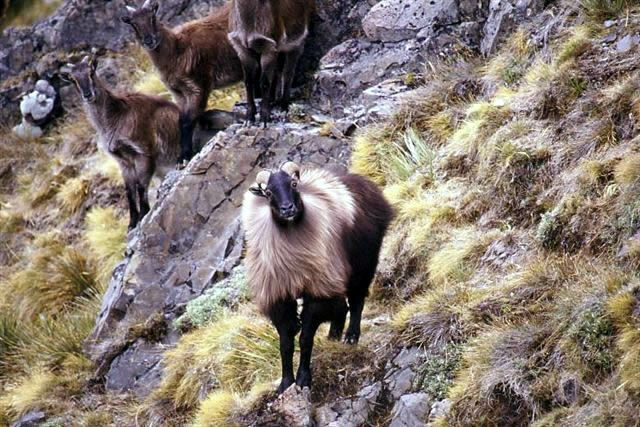 The moment I landed back in Sydney after this trip I booked again with another 3 mates and my father to come and take at Bull Tahr with John and the gang for the 2017 season. Well done guys what a special experience! "My wife, son and I visited New Zealand on vacation. 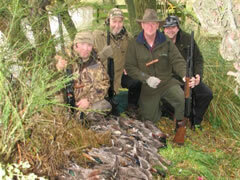 While there, we spent a few days at the Hossack Station hunting with John and his crew. One of the highlights of our trip, was without a doubt the time spent at the Hossack Station. 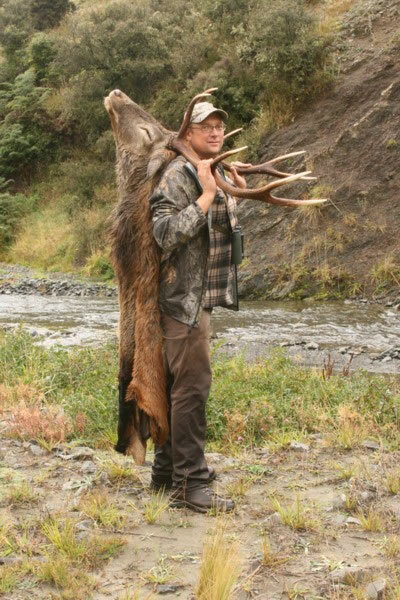 The hunting with John is world class, the scenery and accommodations are picture perfect, the meals are outstanding and the hospitality and comradery are priceless. 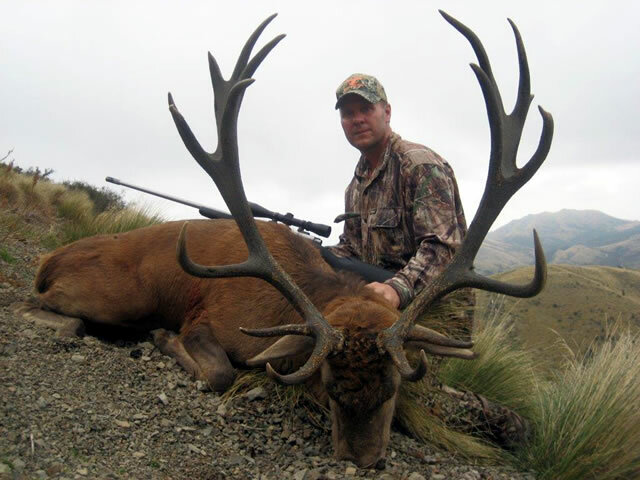 It was a dream come true to visit New Zealand, I hope one day return the the Hossack! Thank You John, William and Pete for a experience of a lifetime." 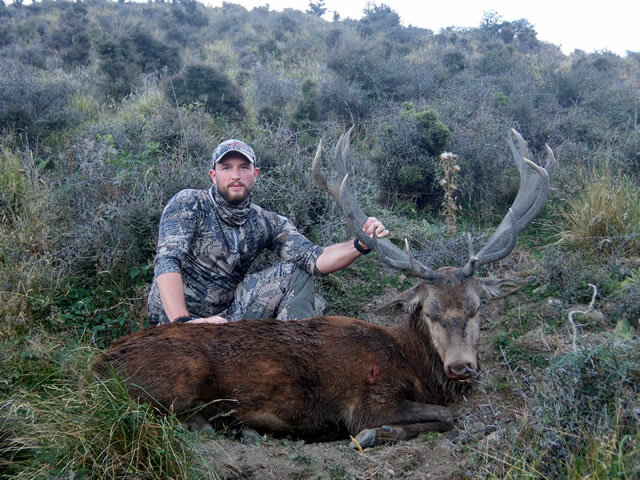 Hunting free range red stag had always been a dream of mine and in 2014 I started the planning process. 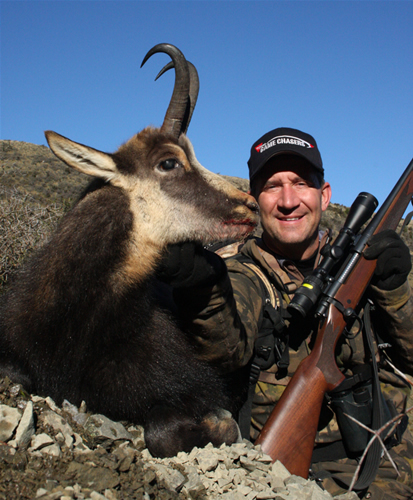 After much research and talking to outfitters in Argentina, Europe, and New Zealand; The Hossack seemed to be the clear choice. After hunting at the Hossack in 2015, there's no doubt in my mind I made the right call and they surpassed all my expectations. Their skill and knowledge of the land is top notch. Just the property itself is something to be seen. 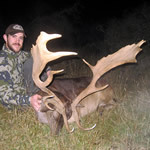 I was able to harvest a SCI top twenty free range red stag on the first evening, and topped it off with a SCI top ten free range fallow deer later on in the week. Throughout the week we continued to see quality stags, chamois, and fallow deer. After we were all done hunting, there was still plenty to do. 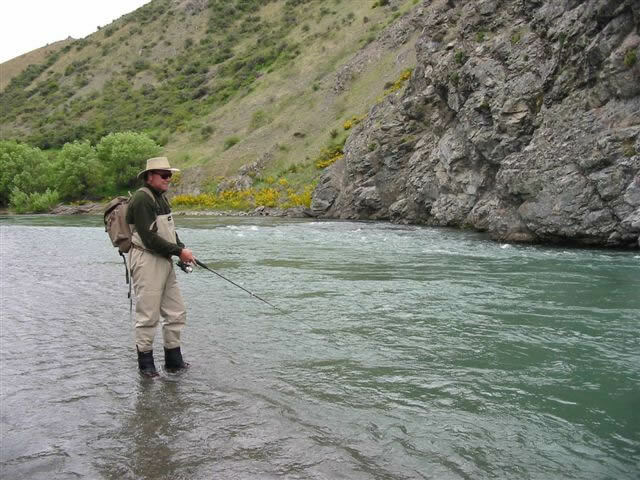 Fishing for brown trout, shooting pigs & hares, and visiting the nearby town of Hanmer Springs were all bonuses we got to do in our down time. 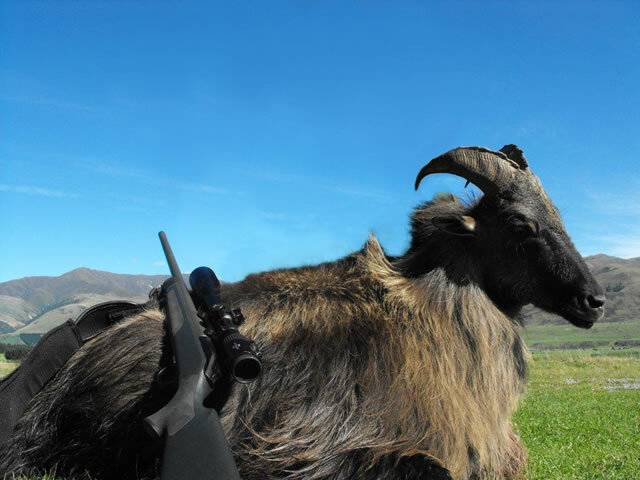 I am actually returning to the Hossack for a Tahr and Chamois hunt in 5 days from the time I am writing this review and couldn't be more excited to get back out there. John makes the planning process an absolute breeze and all you basically have to worry about is getting yourself there. 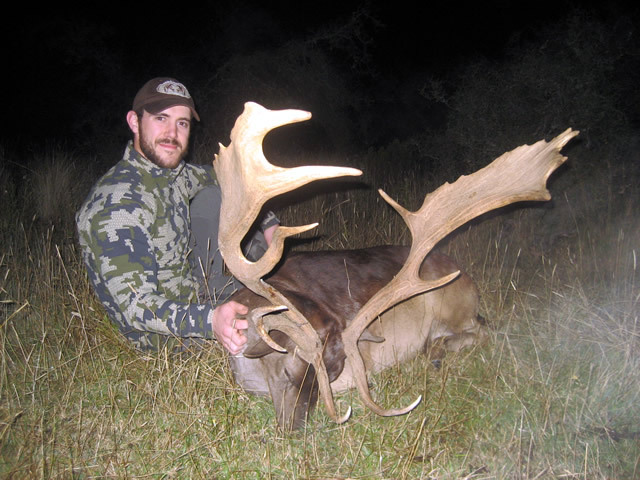 Even if you want to hunt something that's not on the Hossack, John will make it happen and will take you to where you need to be. 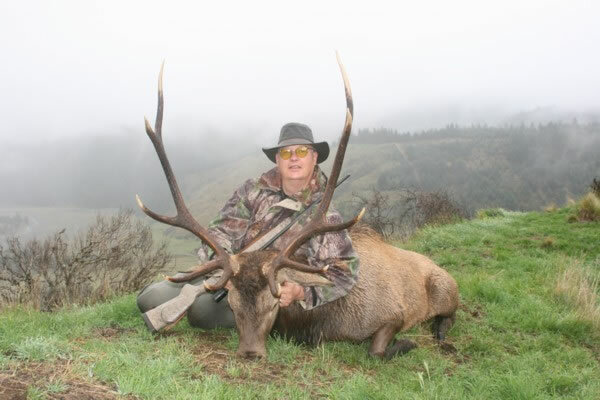 Hunting at The Hossack in New Zealand should be on every hunter's bucket List. “We sat in the late afternoon sun and looked back at the Hossack country. What a magnificent hunting ground it was, with its bushy corners, flaxy faces, shingle slides, and steep shady gorges. From away over towards Mt Tinline a roar drifted up from a shadowy face. Soon darkness would fall. We could imagine the frenzy of roaring which would begin as the evening wore on. "We had a TERRIFIC time, and Stephen was AMAZING! 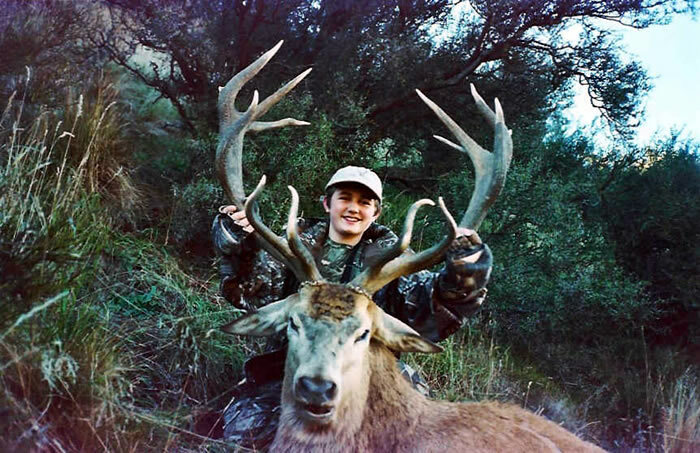 It was very special that Ronda was able to participate in the hunt. She loved every minute and had a wonderful time! Thank you for everything. We are already planning our next trip to the Hossack. 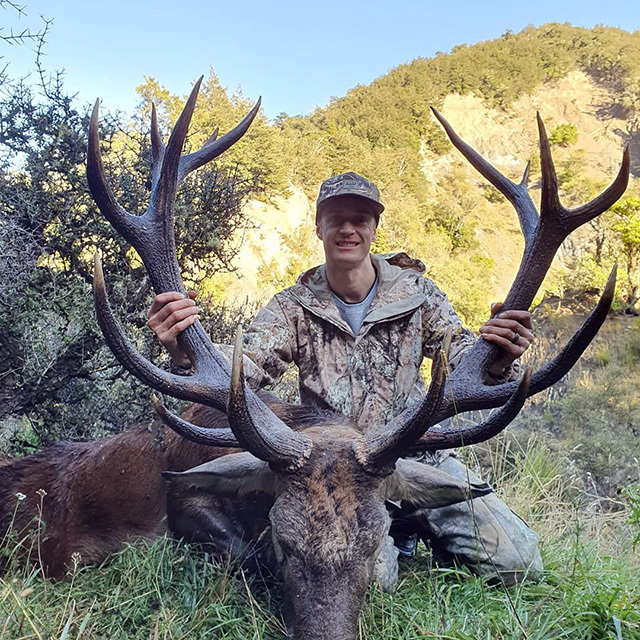 "After just finishing a six day hunt at The Hossack Station for free range Red Stag and Fallow Buck I have to say it was an unbelievable experience. The hospitality and hunting was great. 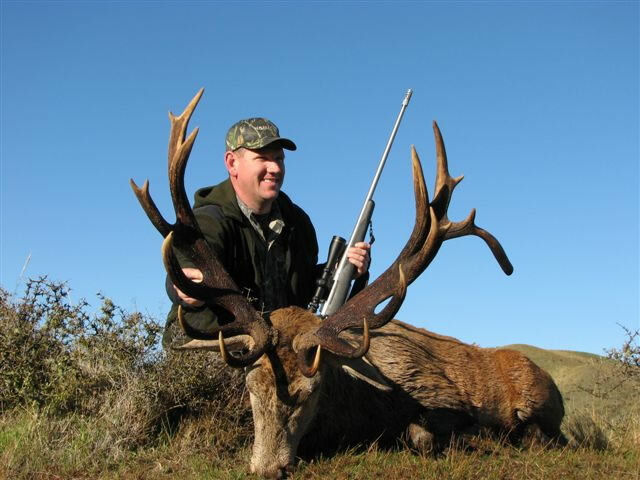 From day one of the hunt saw excellent quality and size Red Stags. 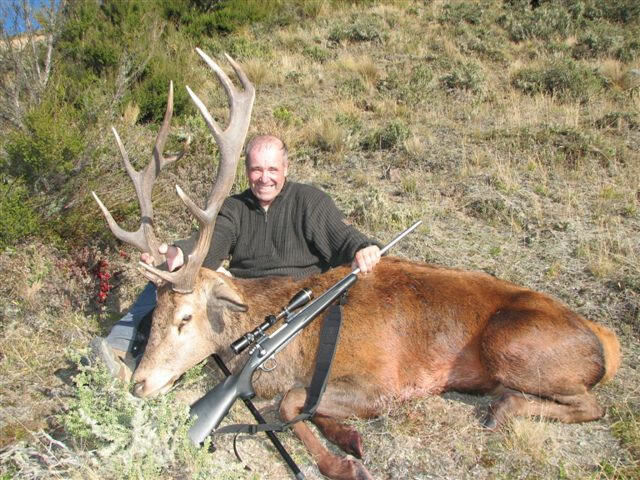 Was able to shoot a fantastic Red Stag after a great stalk and a nice Fallow Buck. 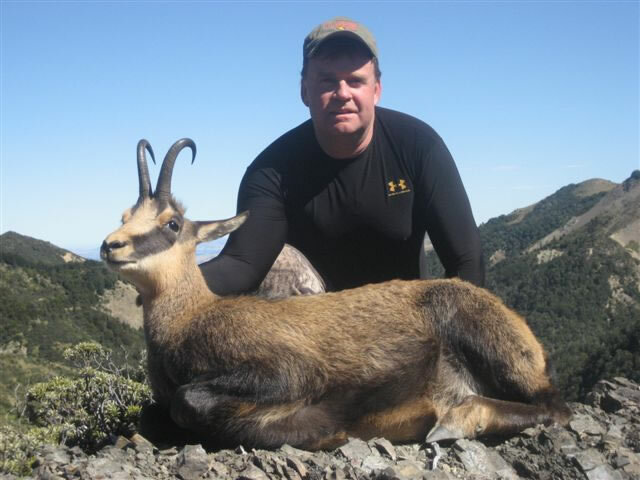 The guides John Angland and Dean Kinzett were great at their knowledge of the terrain and advise in hunting the game. On down time was able to do some brown trout fishing and stay at The Hossack Station hut on the Clarence River where we caught some nice brown trout. 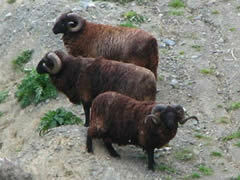 There were also feral goats, pigs, rabbits and hares to shoot at throughout the trip. I plan to hunt again at The Hossack Station." 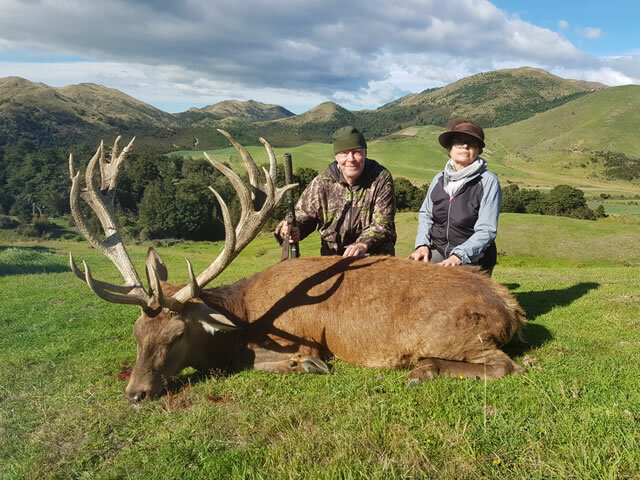 "Hossack Station combines a marvellous combination of client centred 1st class service, warm hospitality, great food, friendly highly expert guides, and the potential to bag outstanding trophy's in one of New Zealand's most pristine and picturesque mountain landscapes. 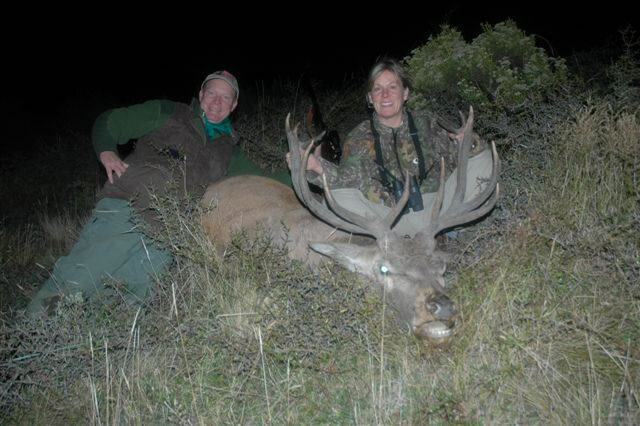 John and his guides are very professional and determined to give every client the greatest opportunity for the hunt of a lifetime.My wife as an observer, and myself, had a brilliant time. I harvested 3 fantastic trophy's in just 4 days. "I have had another great hunt! 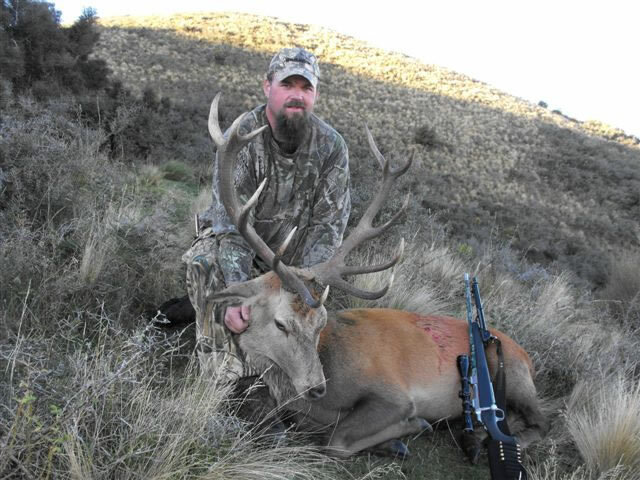 This time it was for a wild fallow buck. I can't wait to come back to The Hossack for the third time!" "Sooz and I have returned home and checked back into the rat race, but we both often reflect on our time at the Hossack. Wanted to thank both of you and Jeremy for going above and beyond to make our time at the Hossack both comfortable and enjoyable. 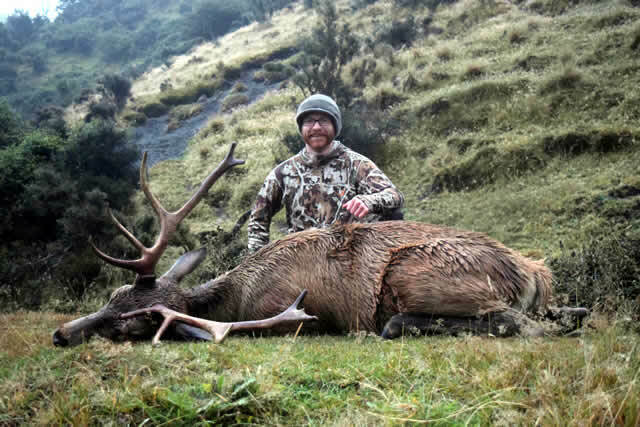 The accommodations were great and the New Zealand hunting was both interesting and exciting, we were thrilled with our stag ( He is at our taxidermist) and would recommend the Hossack to anyone who might be entertaining the idea of a red stag hunt in combination with a family outing. It was great to get to know you all and thanks again for a nice introduction to NZ." "The Hossack is great and way more than what I ever dreamed it would be. The guys here are the best and make it very comfortable. I can't wait to come back. I am ready to book another trip. 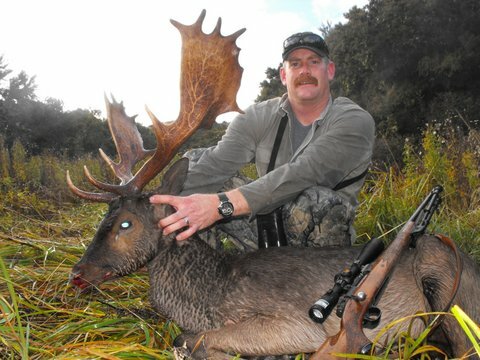 I shot my first red stag, a 21 pointer. I can't say enough good about this place. We can't wait to see you again." 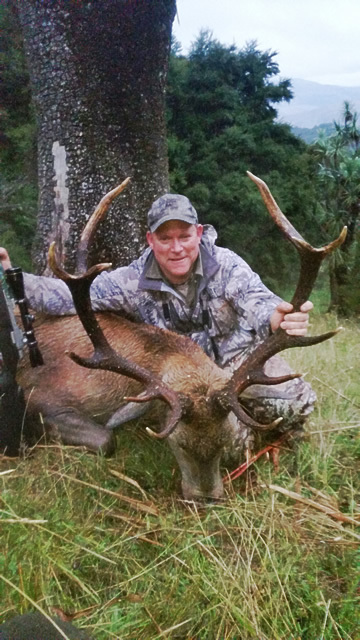 "Thanks to all - a wonderful hunt and great experience. Great accommodations, good food and a good cook. Can't say enough about how much you folks did to make our hunt special in all ways. Great job." "Thanks to all the Hossack Crew for a great time and hunt. A special thanks to Michelle for making arrangements for our wives to do a little touring. 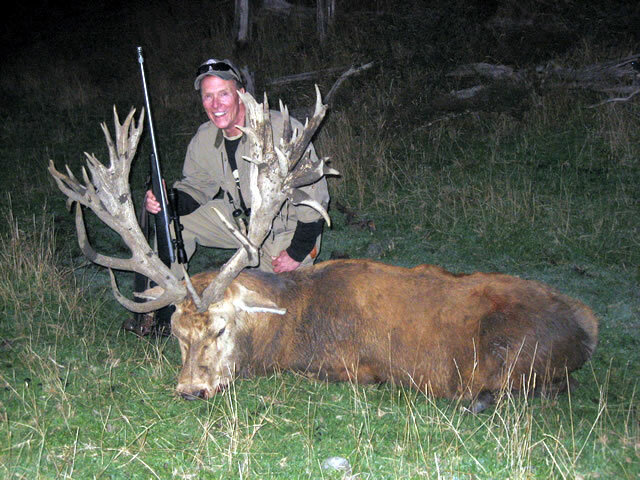 The animals are impressive and will make great trophies. This country creates a desire to return and hunt again with the new friends we have made here." “Had a wonderful time with the entire Hossack team, Michelle, Steve, John A, John L, Fraser, Jeremy, and guests Mark Murrell, Jack Davis and my wife Debbie. Beautiful country! Nothing like South Louisiana! 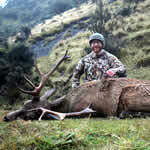 Harvested a nice free-range stag, and a beautiful tahr! Almost harvested a beautiful fallow deer and chamois, but it’s really hard to do with a bow! As the new owners of Wild Wing Hunts, Debbie and I thoroughly enjoyed the hospitality at Hossack Station! “The Snow was coming down big fluffy and harder now. 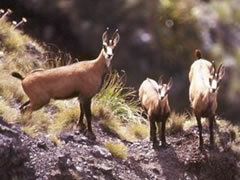 We spotted a couple excellent Chamois just up above us. We could just make them out through the flakes. Then we saw the hinds right there too but a bit below them. Just around the bend, and there was our stag. Pete caught sight of him first, and yes, the big ones look big right away. The stag at seeing us, jumped down a small ravine as John got the binoculars on him and I maneuvered into a shooting position. When he popped back up to see what we were he gave us a perfect broadside look at him. "That's what we're looking for" John said. "Take him if you've got a shot and want him". I didn't need to hesitate and think. He is why I came to The Hossack from Minnesota, and more then I could have hoped for a chance at. My aim was true and the Hossack Royal Stag was down. Congratulations, hand shakes, and big smiles all around. 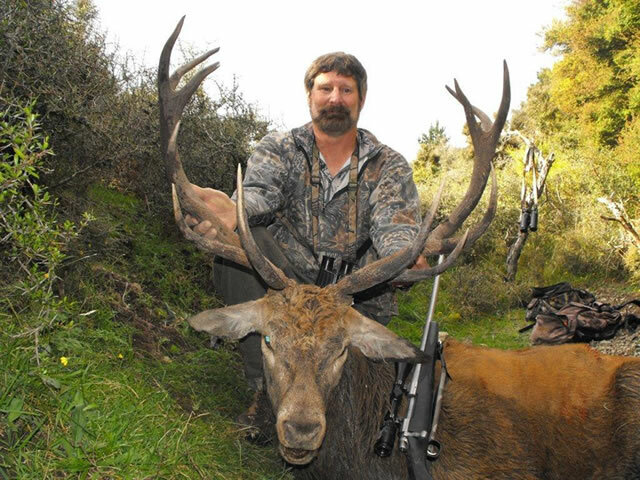 My first New Zealand, Red Stag and what a great trophy. “Had a once in a lifetime trip. Great blast, cook, and guides. Great place you have here. Love to come back. 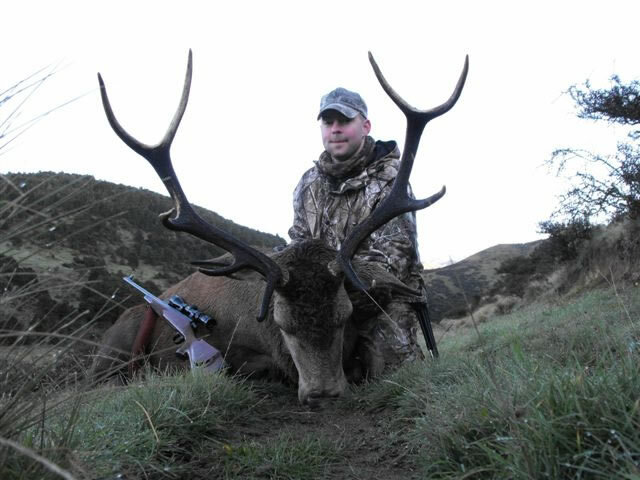 “Great trip, great camp, nice 5x4 wild and free stag, Pitt Island ram. Food was great, guides were great, hope to come back for another round. “First trip to NZ, won’t be the last! Friendliest hunting camp I’ve been to. Beautiful country, wonderful animals and great people. “Mary and I have spent two great days in Hanmer Springs and at the Hossack. 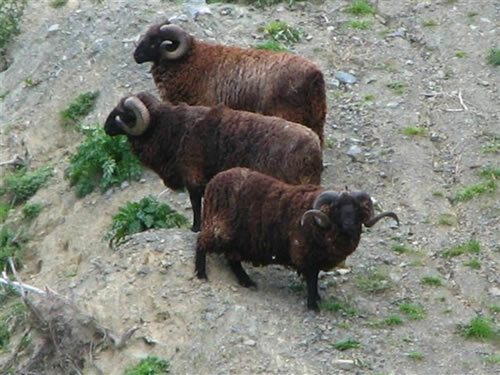 Yesterday we saw a chamois buck and 14 point red stag. I rode the bikes today for a few hours while Mary rode a horse. 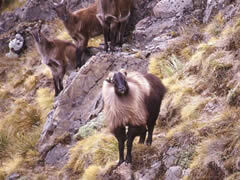 We will be off to hunt tahr later. Thank you for another wonderful time”.